The National Transportation Safety Board (NTSB), an independent federal agency that investigates transportation-related crashes, has published a report calling for more action against drunk driving. 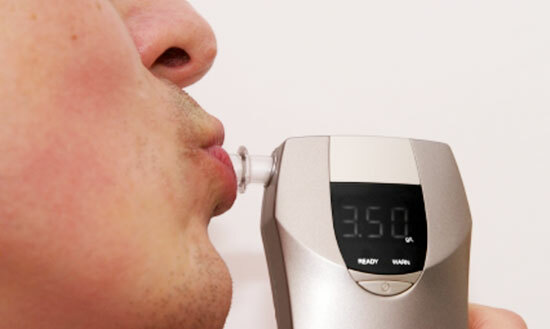 The NTSB suggests an increased use of police sobriety checkpoints and for universal use of ignition breathalyzers for all convicted drunk drivers. The ignition interlocks would require drivers to have a zero percent blood alcohol concentration (BAC) level to start their cars. The NTSB also wants to lower the legal BAC level from 0.08 percent to 0.05 percent. Most other countries already have legal BAC levels of 0.05 percent or lower, and within the U.S., previous changes in legal BAC levels along with other drunk driving control methods have been successful. In 1968, the Department of Transportation reported that up to 25,000 Americans died annually due to drunk driving. This number dropped to 10,000 by 2011, just several years after all 50 states lowered their legal BAC levels to 0.08 percent in 2004. Legal levels had previously been as high as 0.15 percent. Despite this positive drop in the drunk driving death toll, statistics show that one third of all highway deaths are still alcohol-related. Most drunk driving accidents typically occur when drivers have reached high BAC levels, but impairment occurs even at low BAC levels. The NTSB hopes that a lower BAC level regulation could prevent car accidents caused by binge drinkers and social drinkers alike, resulting in an overall reduction in drunk driving accidents. If you, or someone you love, have been injured in an accident caused by a drunk driver, you may not know where to turn. You may have a case, and at Edgar Snyder & Associates, we can help you learn your legal options. Call 1-866-943-3427, or fill out the form at the top right of this webpage for a no obligation, free legal consultation. Learn your legal options today. “Cracking Down on Drinking and Driving.” The New York Times. May 14, 2013.